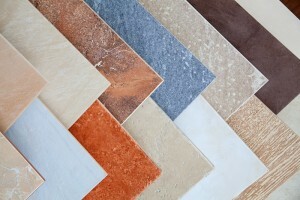 Tile remain one of the most popular flooring options for many rooms of the house. Bathrooms, kitchens, laundries and increasingly spa or swimming areas require waterproof floors, and while stone is now also a good option traditional tiles remain a solid and popular choice. Tile come in every colour so they can suit any décor. These are an economical choice, yet they are long lasting and fairly durable. Many ceramic tile surfaces last for decades under reasonable conditions; and if they are damaged they are fairly easy to replace. Ceramic tiles have a diverse and vibrant colour range. These are a very durable option, making them ideal for floors subjected to harder conditions. Unlike some cheaper options the colour of the tiles is consistent through the entire material, and not just in the surface, so if they do suffer wear the colour remains the same. As well as being available in many colours modern porcelain tiles can realistically imitate the look of timber of stone while still remaining moderately inexpensive. Of course tiles are not the only option. There are many varieties of timber flooring, and timber is durable, stable and available for staining in almost any colour. Solid timber is a great option for many rooms of the family home. A century ago kitchens were built with wooden floor or stone, because that was the material available at the time. The introduction of ceramic tiles and vinyl flooring changed that situation as floors could now be made waterproof. Recent design trends have seen the reintroduction of wood, along with a few other materials, that are suitable for kitchens. Modern treatments have made these materials waterproof. 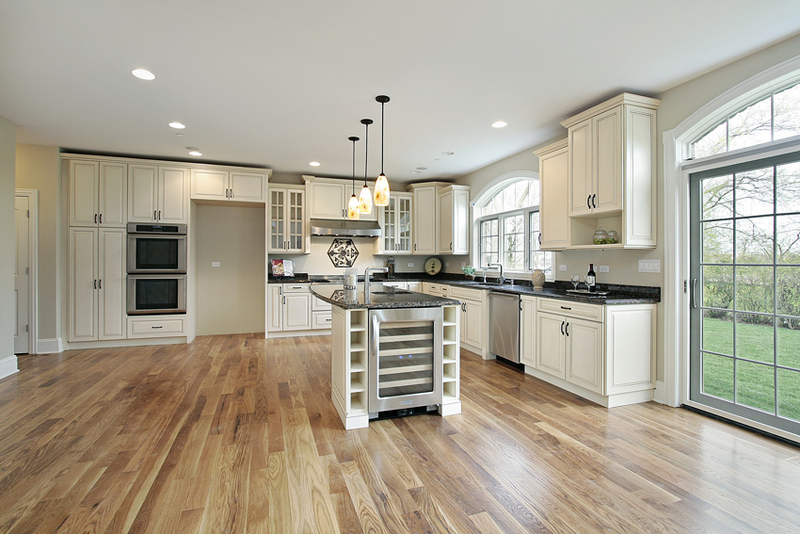 Giving kitchen floors that are spill resistant and lower maintenance than earlier designs. This is an affordable and durable option. Not only does the multilayer wood offer additional strength in its construction, but it can be padded underneath to provide a comfortable surface for feet. Both of these factors are important if the kitchen is frequently used. With a water-proof finish the laminate wood is easy to clean under any normal circumstances. A classic kitchen solution because it is affordable and offers the best of all options. It is easy to clean, highly water resistant, fairly long lasting, and easy to replace. It is also available in many colours and designs, including imitation wood or stone. Best of all, it is quite soft underfoot. Kitchen flooring was once a matter of practicality; the floor surface had be water-proof and non-slippery to prevent accidents. Now there is a much greater choice of flooring materials, so floors can be chosen for aesthetic appeal, with all the practical features included. Children are effected by the bedroom they are in. In some ways children appreciate the decorations more than adults; children like to see favourite characters or pictures on the walls. 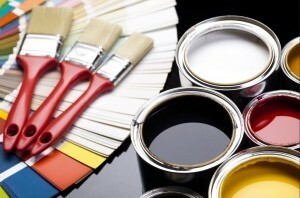 Painting and decorating a room provides a stimulating environment for a child. One common complaint with decorating for children is that their taste changes so quickly. Last year’s favourite cartoon is no longer popular. We can help with this situation by painting a neutral room using only temporary decorations. One popular option is to only colour one wall of the room. A room can look quite effective with one wall brightly coloured and all the rest plain white. When the room is sparse the single colour defines the mood. 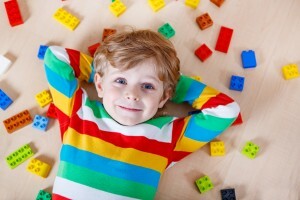 The white walls can be decorated with whatever interests the child has for the moment, and then be changed over time. Some people like to paint a stripe around the middle of room, or just across one wall. This give a more playful, casual feel to the space; it also make the wall (and hence room) look longer. A dark stripe over a light coloured wall works well. A stripe at the one third point from the floor or ceiling can also be effective. If you paint the walls a bright colour you can try painting the furniture a contrasting colour. Vivid blue walls with red bunk beds and cupboards look effective. Being a children’s room this is one of the few time you can use such strong colour schemes. Due to VOC (Volatile Organic Chemicals) in recently painted rooms all young children and expectant mothers should be kept away from paintwork. Talk to the painters about the best options for children’s rooms. Easy to clean paint will make your child rearing years somewhat easier. Wooden Floors last for decades, but even the most robust materials can be scratched or damaged. A few tricks can make all the difference. Put cork coasters under chair and table legs to prevent scratching of wooden floors. Attach with blu-tak. Use a rug under larger item, such a pianos. For temporary items on a wooden floor, cover the legs with old socks. When raw wood is dented it can often be fixed with a wet cloth and a hot iron. This does not work on vanished or oiled floors as it discolours the finish. Clean floors with tea. Boil several teabags in some water, and mop the floor when the tea water is sufficiently cool. Microfiber cloths and mops are useful for spills. Keep one of these handy for the wooden floor. Some inks and pen marks can be removed with toothpaste or hand sanitiser. Run with a warm, damp cloth. Magic erasers (melamine) will remove many floor marks. If a floor board creaks try using talcum powder between the boards. Steam and grease from kitchen cooking gets into the air and spreads around the house. An extractor fan above the stove make a considerable difference, as does closing off doors. Walnuts contain an oil than can cover some scratch marks, depending on the type of wood. Try rubbing the nut on the scratch. Pecan may work too. If you can find a crayon that matches the floor colour you can use this to fill in some scratches. Apparently mayonnaise causes some wood to swell. It can be used to fill in small crack, though it takes a few days to take effect. These ideas are not recommended for artificial floors. Even the hardest timber is prone to scratches; there are many other things harder than timber, so chairs, tables and high heeled shoes are all a risk. Protect the floor from scratches by using coasters under furniture legs. Have people remove shoes. Put down rugs where nessesary. Scratches can often be repaired, or at least concealed, by applying the same oil or coating originally used when installing the flooring. This works well with light scratches, where just the coating has been removed. Deep scratches are concealed by correcting the colour, but the lost wood cannot be restored. Dents in untreated wood can sometime be fixed by applying a damp cloth and a hot iron. Move the iron around to prevent burning; the process takes a few minutes. Avoid this technique on polishes and oiled wood as it often causes discolouration. Some people simply accept the idea that timber floors will need to be re-sanded every 10 years. Others take precautions, and find the floor suffers far less damage. Laminate is quite scratch resistant; the top layer is an artificial material resigned to be strong. But on the rare occasion when they do suffer damage there are very few repair options. Laminate cannot be sanded, though sometime damaged repair is simpily a matter of replacing the individual boards. Bamboo that has been grown for 7 years has reached near optimal hardness. 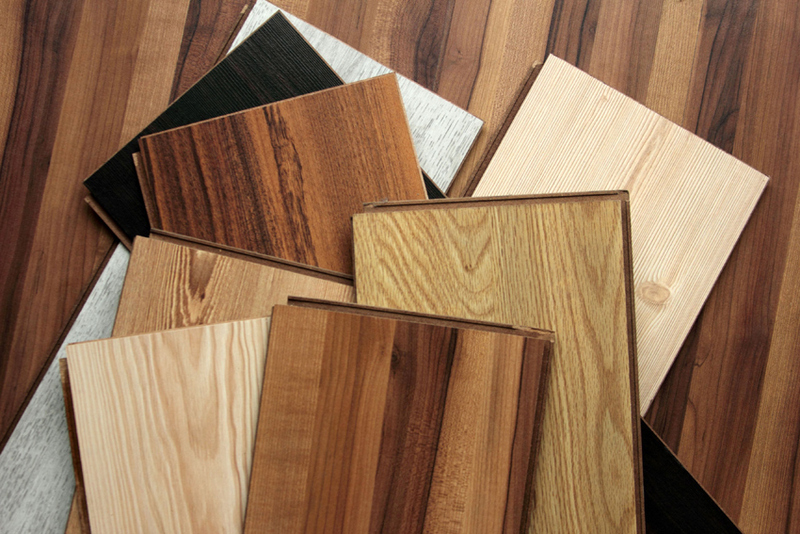 Compared to many hardwoods, which take decades to reach maturity, this is very quick. Yet bamboo has the same scratching issues as good quality hardwood – metal, stone and other objects are harder than wood or bamboo and will easily cause damage. Bamboo floors can be re-sanded many times, usually after a decade or continual use. 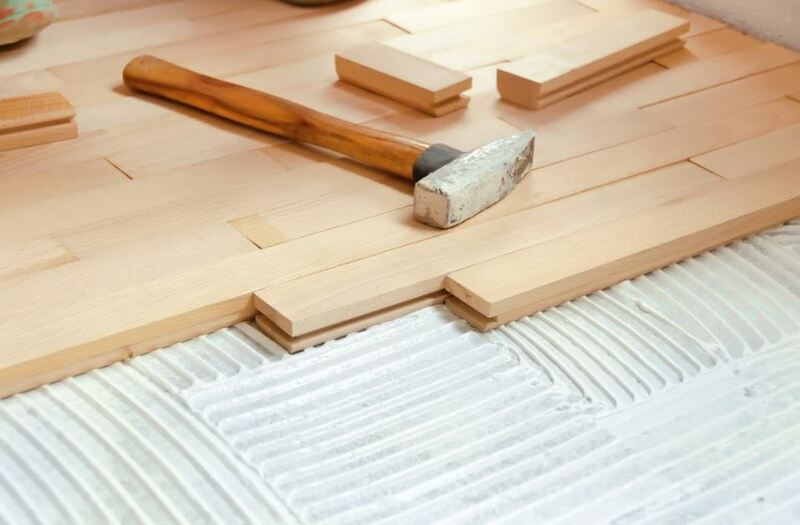 Proper precautions will allow the bamboo floor to last much longer between sandings. A floating floor is constructed above a permanent, solid floor. As it is not permanently fixed it can be removed and replaced with minimal effort. If the floating floor suffers damage it is usually best to simply replace the damage section. Cookware imparts energy (as heat) to the food being cooked. Whether the heat is from gas or electrical elements it must be distributed evenly upon the food. With more complex cooking methods it may also be important to be able to control changes in the heat in a precise manner. The jets of a gas cooker will have gaps between them, as will the elements of an electric coil. For good quality cookware this should not be an issue. The ability for the metal in cookware to absorb and transmit energy is the thermal conductivity. Cookware with high conductivity will heat quickly and evenly; a heat applied at centre of a pan will also heat the rim of the pan. High conductivity is desirable for just about all cooking applications. Heat capacity of metal is the ability to store energy. When a pot or pan has high heat capacity it will take longer to heat up and cool down than a pan with low heat capacity. This heat capacity depends on both the metal in a cooking implement and its thickness. It is better for a cooking pot or pan to heat and cook quickly. The heat capacity and thermal conductivity are combined to give a good indication of the properties of cookware. The higher the thermal diffusivity the better the pot or pan. Unfortunalty metals with excellent thermal diffusivity, such as aluminium or copper, tend to react badly with many foods. Stainless steel, which does not affect food, has quite poor thermal diffusivity. Combining metals and cooking surfaces can produce the best properties in cookware. Flavorstone uses aluminium and stainless steel construction with a non-stick sapphire coating. This combines the desirable thermal characteristics of aluminium with the neutral cooking surface of sapphire stone. It is the best of both worlds. A carpeted floor has two acoustic advantages. One is that it prevents those outside and downstairs from hearing our music, television, footsteps or domestic disagreements. The other is that it provides a less harsh acoustic environment for those inside. Where a hard surface reflects sound and provides a bright, harsh acoustic environment a carpeted floor is absorbing and creates a warm acoustic sound. Of course, other factors also contribute to this. Bamboo floors tend to give acoustic properties that are similar to hardwood, though Bamboo can be slightly softer and this might make a slight difference. The internal sound of the room with bamboo flooring can be dramatically improved with a few thick rungs and heavy curtains; thick fabric furniture also helps. Avoid any situation where the walls are bare, the floors hard, and where there are sliding glass doors or large windows. If there are potential problems with sound leaking outside, if the people downstairs complain about the noise you make, then acoustic underlay can help. This goes underneath the floor and prevents a lot of the vibration from travelling through the floor. Laminate does not offer the physical or acoustic softness of carpet, but it is far softer than polished wood or bamboo. If there is underlay the softness is further increases, as is the sound isolation from the downstairs neighbours. As laminate can be made to reproduce wooden flooring with reasonable accuracy it is possible to have both reasonable acoustics and the look of a polished wooden floor. A floating floor is sometimes referred to as en engineered floor or suspended, and consists of a surface suspended on rubber, or foam and not connected to the walls. This absorbs vibration and prevents it from being transferred outside, effectively attenuating noise from feet or other sources. Suspended floors are extremely effective for noise attenuation, but are expensive and a major part of the building’s design. Floating floors can also refer to any flooring that is not permanently attached to the floor underneath. Despite the name the two floor designs should not be confused. The term ‘engineered flooring’ can also refer to wooden planks made from several types of wood. This is different to a suspended engineered floor. Loose lay vinyl flooring is a type of floating floor, used to provide an attractive and easy to clean surface. There are several areas where water might be contaminated, though the main two are the treatment plant where the water originated, and the pipes it travels through. Neither of these are designed to cause problems; designers and builders aim to reduce and eliminate problems with drinking water. But contamination issues are complex, there is not always agreement about problems and their causes, and there is always the possibility of discovering an issue that has previously gone unnoticed. Chilled Water Pipe Cladding seems to cause fewer problems than other methods. It has been known for a while that hot water picks up some minerals when travelling through copper pipe cladding, but cold water seems to be much better. Cold water from the tap is much preferable to hot water through the same piping. Water for tea and coffee should obtained from the cold tap. PVC piping seems to initially give a ‘waxy’ taste to water when first installed by pipe cladding companies. This quickly dissipates after a few day of use, and appears to be something inside the piping rather than the materials that make up the pipe itself. Nonetheless, there might be undesirable chemicals in the water, either from the pipe materials seeping into the water, or something that was in the water after it left the treatment plant. Ultraviolet light (UV) does a lot for drinking water. It effectively destroys bacteria and other living substances. Purifiers can be bought at many places online, both as installed and portable devices. UV treatment seems to work best after the water has been filtered. 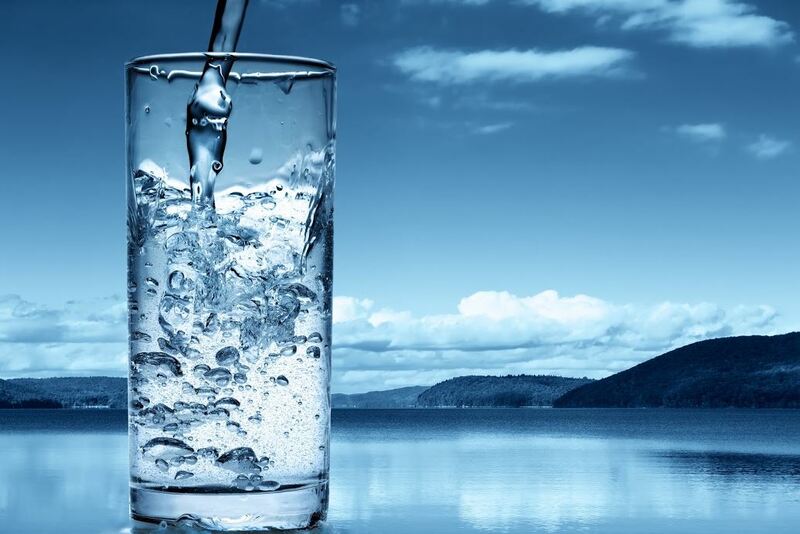 There are many types of water filter. Charcoal seems to be popular and effective. These tend to remove solid particles and chemicals, including the ones like chlorine that are deliberately added to the water. Filters can be installed as part of the plumbing or as part of a jug or cup. Remember to replace filter periodically, according to manufacturer’s instructions. Water can also be distilled. This is simply a method where water is boiled into steam, with the steam then collected and cooled for drinking. Unfortunatly this removes too much from the water. Our body needs trace elements. If you distil water, add a very small amount of salt, lemon juice and a essential minerals. It is surprising that a hydronic heating system can be installed in a DIY (Do it Yourself) manner. But it is the design concept of hydronics that is tricky, not the installation procedure. If the supplier and installer are clear on what a particular building requite, then the system can be designed accordingly. DIY Hydronic heating kits include all the components necessary for installing a fully operational heating system. Systems are designed to efficiently meet the client’s heating requirements. Full instructions and schematics are included. As many DIY hydronic systems are installed as part of a larger DIY project it may take many months, or years, to complete. As such, it may not be necessary to simultaneously purchase all of the hydronic parts. Kits can be purchased in stages, allowing other parts of a building to be purchased and installed as schedule’s permit. DIY projects can be undertaken to save money, or for the sense of accomplishment, or because a particular end result is not commercially available. The amount of time taken for personal projects is often underestimated, so monetary saving is minimal; it can be more economical to earn extra money and hire a professional builder. However, personal satisfaction is a legitimate factor. If you enjoy both the process and the end result a DIY hydronic heating project can be a worthwhile undertaking.